In 2010 nineteen participants found 1,821 butterflies of 52 species. The Ojibway Prairie Complex received the majority of coverage. Sites visited by counters included Ojibway Park, Spring Garden Natural Area, Ojibway Prairie Provincial Nature Reserve, Malden Park and LaSalle. The count was hosted by the Ojibway Nature Centre and The Friends of Ojibway Prairie sponsored lunch and refreshments. American Copper (51), Great Spangled Fritillary (277) and Question Mark (57) were recorded in record high numbers . 68 species (plus 1 count period) have been recorded over the seventeen butterfly counts. 03 July 2010; 0830-1700 hrs; sun AM 100%, PM 100%; 70-84°F; wind 3-5 mi/hr. 19 observers in 7 parties. Total party-hours 27.5; total party-miles on foot 42. Observers: S. Butnari, M. Calder, P. Carter, K. Cedar, S. Cullen, P. DesJardins, K. Fawdry, S. Greidanus, B. Kulon, B. Kulon, J. Larson, B. Learmouth, K. Lesperance, B. Makar, B. Mann, K. Newman, L. Onysko, Paul Pratt (compiler), B. Ross. Black Swallowtail 15, Giant Sw. 1, E. Tiger Sw. 23, Spicebush Sw. 1, Cabbage White 228, Clouded Sulphur 52, Orange Su. 43, Am. 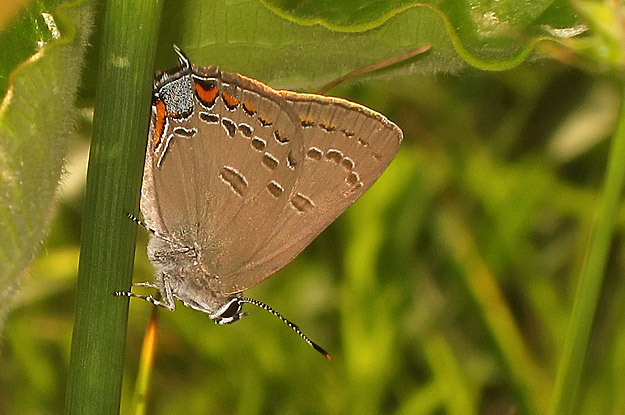 Copper 51, Coral Hairstreak 19, Acadian Ha. 4, Edwards' Ha. 74, Banded Ha. 11, Hickory Ha. 7, E. Tailed-Blue 21, 'Summer' Spring Azure 11, Gr. Spangled Fritillary 277, Aphrodite Fr. 1, Silvery Checkerspot 3, Pearl Crescent 30, N. Cr. 11, Question Mark 57, E. Comma 6, Mourning Cloak 6, Am. Lady 12, Painted La. 1, Red Admiral 52, Com. 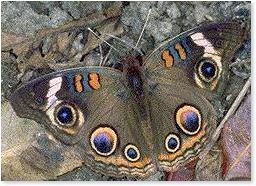 Buckeye 1, Red-spotted Purple 1, Viceroy 24, N. Pearly-eye 18, Eyed Brown 9, Appalachian Brown 19, Little Wood-Satyr 94, Com. Wood-Nymph 173, Monarch 78, Silver-spotted Skipper 37, S. Cloudywing 6, N. Cl. 2, Dreamy Duskywing 1, Columbine Du. 1, Wild Indigo Du. 55, Com. Sootywing 2, Least Sk. 4, European Sk. 24, Tawny-edged Sk. 4, Crossline Sk. 17, Long Dash 1, N. Broken-Da. 114, Little Glassywing 57, Delaware Sk. 51, Black Da. 2, Dun Sk. 1. Unidentified: Satyrium 1, Erynnis 1, grass-skippers 6. Total 52 species, 1821 individuals. Copyright © 2004-2011. All rights reserved. You are on a City of Windsor Web Site.